Yoga is nearly 5,000 year old science that helps build strength, flexibility and breathing to boost physical and mental well being. Thanks to gentle techniques it uses, Yoga is becoming very popular worldwide. Consequently, every year, June 21 is celebrated across the globe as International Yoga Day. Increasing number of companies small and large are now encouraging employees to perform Yoga. Yoga is proven to increase performance leading to better productivity. A comprehensive study by the National Center for Biotechnology Information (NCBI) of the US government has proven beyond doubt that Yoga improves quality of life. The UK’s National Health Service carries extensive information about how Yoga can help prevent or alleviate dreadful diseases like arthritis. The International Yoga Day will be a celebration every June 21. 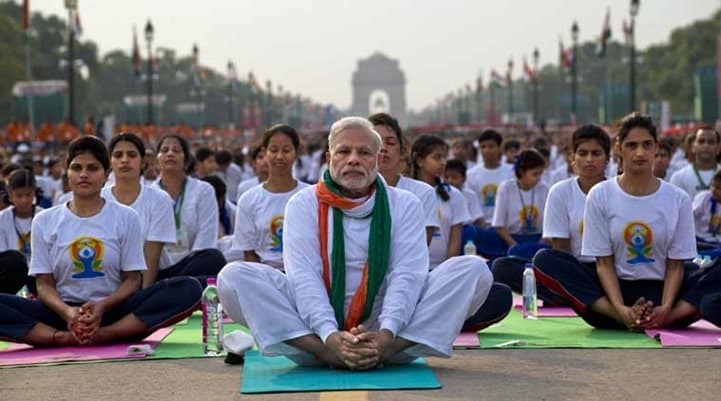 India has several world renowned Yoga masters. This includes Baba Ramdev and Sri Sri Ravishankar among others. Increasing number of organizations small and large encourages employees or conduct in-house Yoga sessions to boost productivity. A classic example is of the US National Aeronautic and Space Administration hosts Yoga sessions for astronauts, scientists and other staff who perform highly stressful jobs. Nowadays, militaries around the world are waking up to benefits of Yoga to keep their personnel in great physical and mental health. There are several ways in which Yoga can help boost productivity of your employees and family. Holding Yoga sessions daily or at frequent intervals for employees has proven to increase team building. Further, it significantly increases individual capabilities of staff. There are many reasons for this. Firstly, long commutes and stressful lifestyles leave little or no scope for employees to engage in personal wellness programs. Consequently, you have stressed workers at every level that adversely affects overall productivity. Several institutes offer special Yoga training for companies. You can organize this at workplace or other venues. Further, Yoga camps of various durations are available too for employees. Interestingly, the link between mental stress, anxiety and muscular tension is proven by medical science. It is well known that staff with headache cannot perform well. Yoga is conclusively known to relieve muscular tension. Yoga improves overall blood circulation in your body. Consequently, blood flow to the brain also increases. As a result, your brain becomes more alert and active. In turn, this leads to better focus on jobs at hand and increases your work productivity. If you perform specific postures of Yoga, you will definitely experience higher levels of alertness. This will definitely boost your staff or your productivity. Yoga is a fairly gentle way of training body and mind. Therefore, there are no rigorous or physically taxing exercises you need to perform. You can practice one or more Yoga postures at home or work. These help you to relax the mind. Subsequently, you develop great mental control. This in turn helps keep your mind free of confusion and mental clutter due to routine activities. Understandably, practicing Yoga is not very easy. It involves rigorous discipline. Again, Yoga is a great cure for negative emotions. This involves anger, hatred, anxiety and mood swings. For this reason, you will experience lower attrition and better discipline among staff. Personally, you too will benefit by lowering these undesired thoughts from your mind. As a result, you will witness higher productivity. As we describe earlier, Yoga involves physical and mental training. In fact, many doctors prescribe Yoga over physiotherapy for people suffering from muscle or bone problems. Undoubtedly, practicing Yoga will help improve your overall body posture and movements. Your employees engaged in physical work will find Yoga very beneficial. Mainly, it helps your body to become very flexible. Any physical workout leads to increase in energy levels. However, nobody will ask staff to indulge in rigorous workout during work hours. Therefore, Yoga is the best choice. Practicing Yoga before starting your day or during a work break helps increase your energy level. Higher energy and superior mental awareness will reward you with greater productivity. Above all, it will prevent you from dozing off during a busy day. Nowadays, back pain, stiff neck, eye and vision problems, headache, joint pains, muscle cramps and all sorts of aches are pretty common at workplace. Part of this is caused due to stress. Sometimes, a hidden medical problem may cause them too. These minor pains are a vexing problem for all organizations. Productivity of staff suffering from these is prone to suffer. However, you can eliminate or reduce these problems by encouraging staff to perform Yoga daily. As a matter of fact, there are no known medical cures for alcohol and drug addiction. However, Yoga has proven to be useful to quite some extent in helping addicts recover from their habits. For one, Yoga helps strengthen the entire body, which addicts desperately require. Addicted employees, if any, will find great benefits with Yoga. Undoubtedly, sleep disorders are on the rise. Research indicates that one in every three employees suffers from sleep disorders. This is due to various reasons: Stress, financial or family problems, consuming alcohol before sleep, too much TV and lots more. Eight to nine hours of sleep is vital everyday to keep your body fit. In addition, good sleep is also essential for keeping a calm mind. If you have sleep disorder, Yoga provides the perfect answer. Yoga is not an esoteric science. Indeed, it is just a form of training body and mind for a better life. You can find a treasure trove of resources about Yoga online. Alternatively, you may visit your nearest Yoga training center to get more details. Remember, Yoga can safely be performed by people of all ages. yoga is most essential for perfect way of living. it is the doctor for doctors. i like it and use to continue everyday. There is a lot of difference between work productivity & career. Looks like this blog is written to encash on the yoga phenomenon.